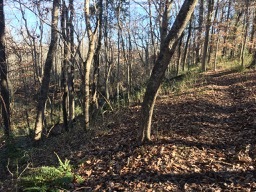 The Woodland trail at Old Santee Canal Park takes you through bottom land forest, up and down sections of bluffs and skirts the edge of a deep ravine. 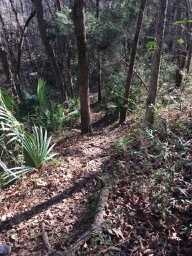 This section of trail is accessed by first following the the Canal Trail, or from the Alligator Loop and requires either a Child Carrier or Children old enough to walk. Sections skirting the top of a deep ravine will require a hiking harness or handholding for young walkers with a child carrier recommended. Older Children will need to pay close attention along this section, though it is brief (about 5 minutes). 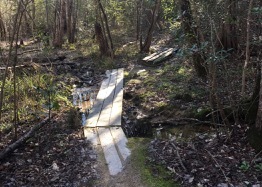 Other sections of the trail take you over small plank foot bridges across boggy areas and a few small creek crossings. 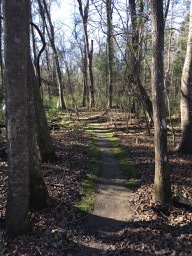 You will find the most elevation changes of any of the trails at Old Santee Canal Park on this trail. Though not difficult, these sections do require paying close attention and taking it slow. 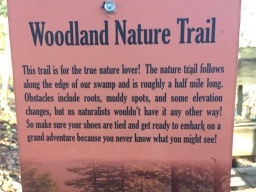 Due to that I would classify this trail with a Moderate difficulty level. Fall, Winter and Spring would be the ideal seasons for this trail but if heat and bugs don’t concern you then any season would be suitable. 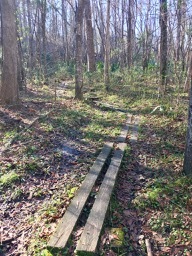 Of all the trails at this park the Woodland trail is the most “wild” feeling of them all with paths feeling at times like you are simply wandering in the woods. 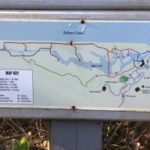 Though it is not compatible for strollers and some parents may be nervous with young walkers on certain sections, this trail is well worth the effort! The parking area has nearby picnic shelters, restrooms, interpretive center, restrooms, history museum and playground adjacent. 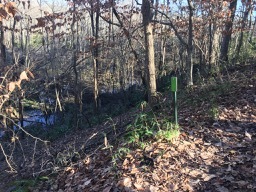 You pass all of these things when getting to the multiple trail start points from the parking area. $3 per persons over 6 with years passes available. Old Santee Canal Park is easy to locate using navigation and internet mapping software. The City of Moncks Corner also has multiple signs present along the most common routes, directing you to the park.